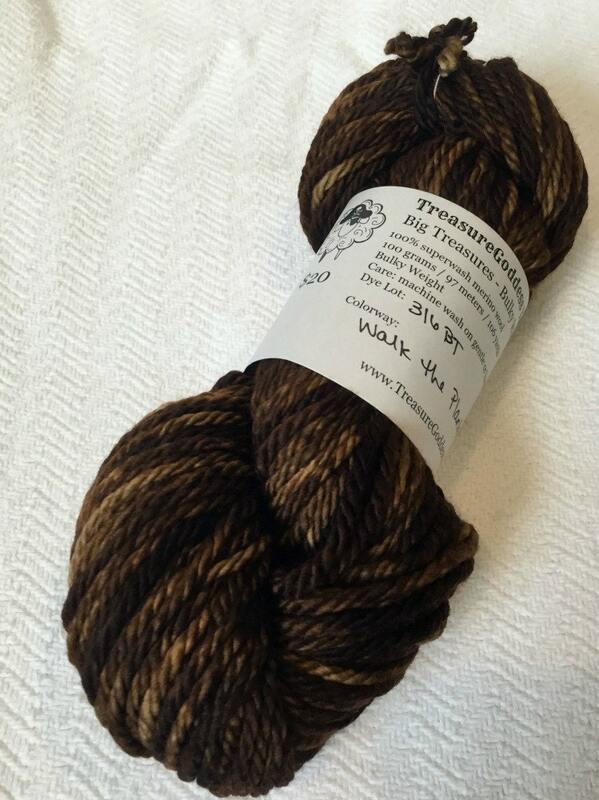 Big Treasures - this yarn is READY TO SHIP! Watch out! You may have to walk the plank if those pirates catch up to you! 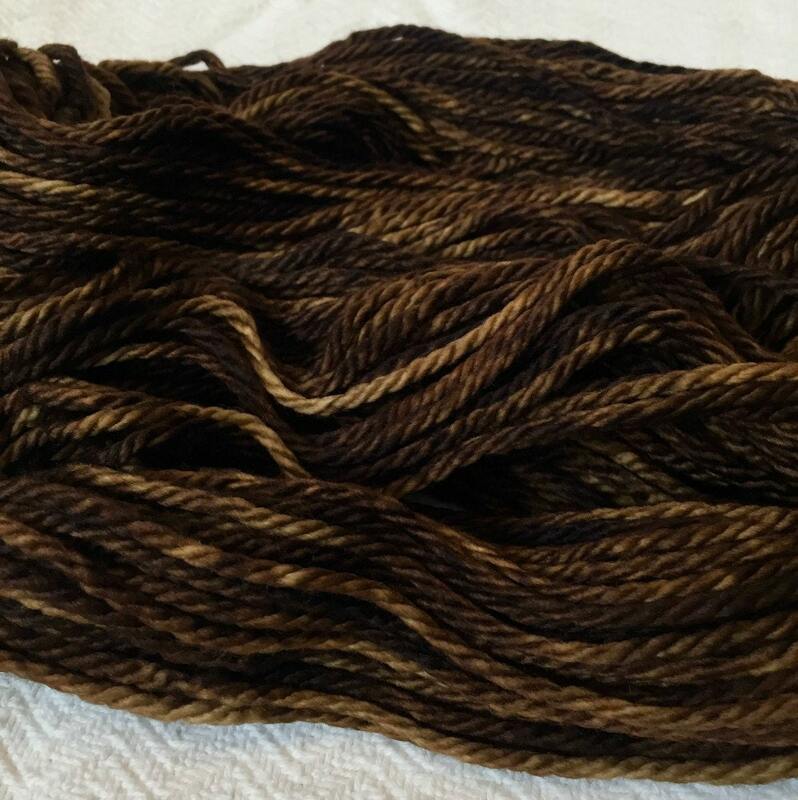 This yarn was dyed by me with professional dyes in colors ranging from lighter wood browns to rich dark chocolate browns STUNNING! 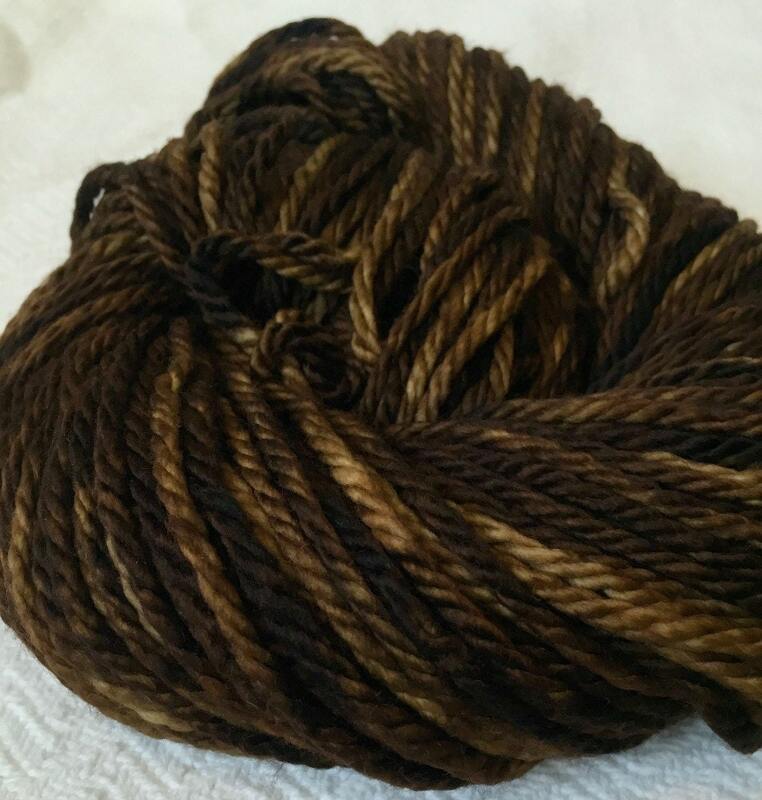 The kettle dyed techniques give real depth when this yarn is knit or crocheted up! SO yummy! 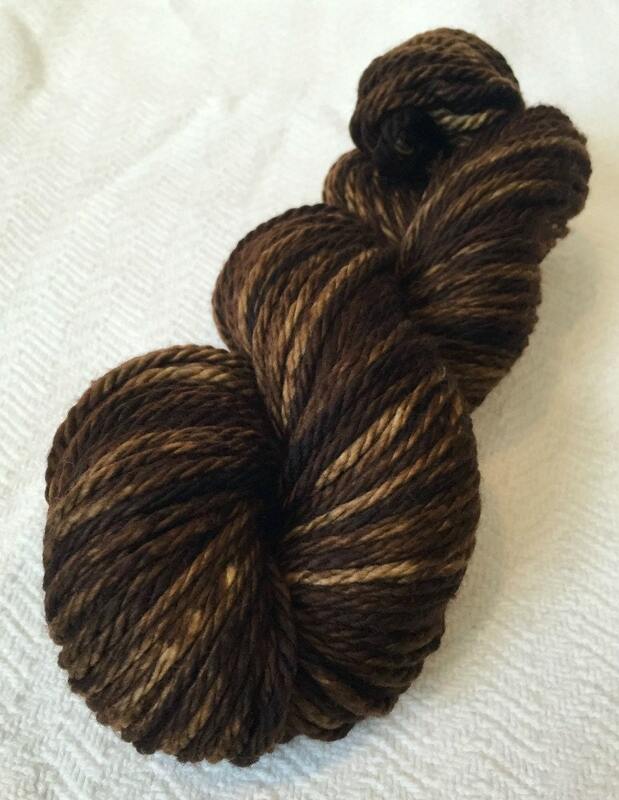 Want a great pattern for ONE SKEIN of Big Treasures Bulky Yarn? Check out my ZOMG cowl pattern! **Colors on monitors can be a bit different, I've done my best to represent this color. 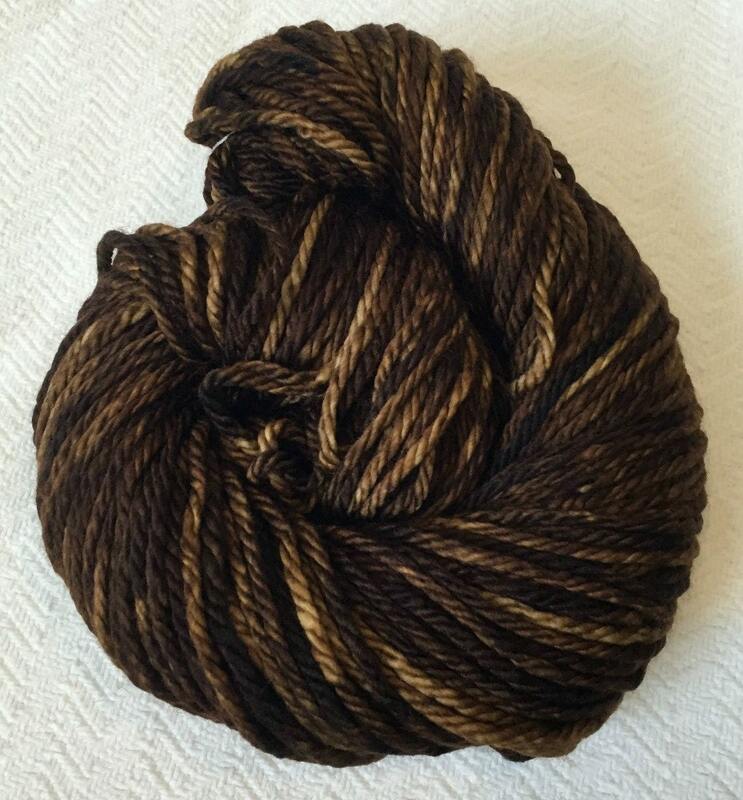 ** Two skeins from one dye lot, one from another but they could be used together in same project.